Beatrice, a fair-skinned Koranna girl, has lost her parents to captors in ongoing conflicts with the white settlers. When she moves to the small village of Nstweng, she meets Nthebolang and the two strike up an unlikely friendship. Here, a tightly menacing tale plays out. When Nthebolang’s lover is accused of witchcraft, it seems as if her childhood is repeating itself all over again. Will she be able to save him, or will he meet the same fate as her father? And is Beatrice a friend in whom Nthebolang should place her trust, or not? 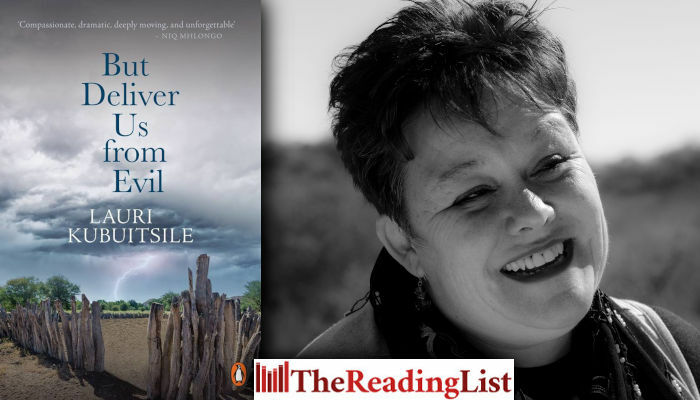 But Deliver Us from Evil is a moving work of historical fiction by the author of The Scattering. Lauri Kubuitsile is the author of many works of fiction for children and adults, including the short-story collection In the Spirit of McPhineas Lata and Other Stories. She was the 2007 winner of the BTA/Anglo Platinum Short Story Competition and the recipient of the Botswana Ministry of Youth and Culture’s Orange Botswerere Award for Creative Writing in the same year. She has twice won the Golden Baobab Prize for children’s writing and was shortlisted for the 2011 Caine Prize. She lives in Botswana.